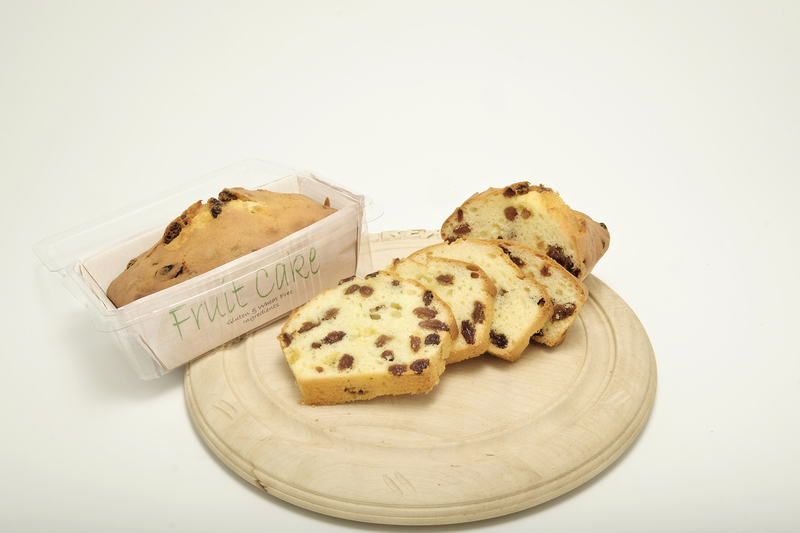 This small —110 gm cake is made with ingredients which are free from gluten. 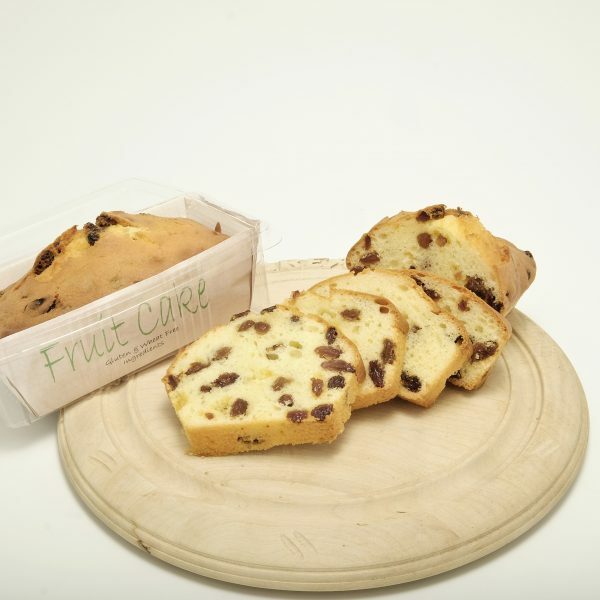 The cake is baked in a food grade tray and packaged in a clear hinged container. EGGS, Sugar, Sunflower Oil, Potato Starch, Sultanas (15%), WHEY Powder, Raisig Agents: E450, E500; Salt, Stabiliser: E451; Vanilla Extract.